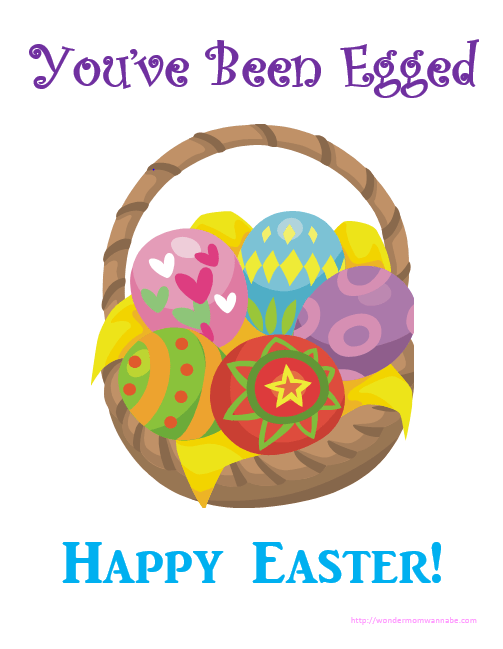 You are here: Home / Easter / You’ve Been Egged! Every Easter my family likes to “egg” friends and neighbors. If you aren’t familiar with the You’ve Been Egged tradition, read on. I think you’ll be pleasantly surprised! My kids love the Halloween tradition of “boo’ing” friends and neighbors. If you are unfamiliar with the tradition, it’s basically a friendly version of ding dong ditch where you leave a small treat anonymously at someone’s door. We have so much fun doing it at Halloween, I was tickled to discover that some other clever individuals had started a similar tradition for Easter. I wish I knew who to credit for coming up with the “You’ve Been Egged” idea, but since I’ve seen it mentioned in many other places I can’t discern the origin. To be clear, it’s NOT my unique idea. I’m just an enthusiastic participant. The printables provided in this article are, however, my own creation. So, feel free to print, share, or copy them however you wish. I want to spread the joy of egging someone else (in this fun, playful way–not the destructive, property damage way) as widely as possible. This is the basket I put together for my friend. Her kids are older so we didn’t hide their eggs, but if you’re “egging” a family with young children, they love hunting for the eggs. You can fill the basket with any Easter goodies you want. 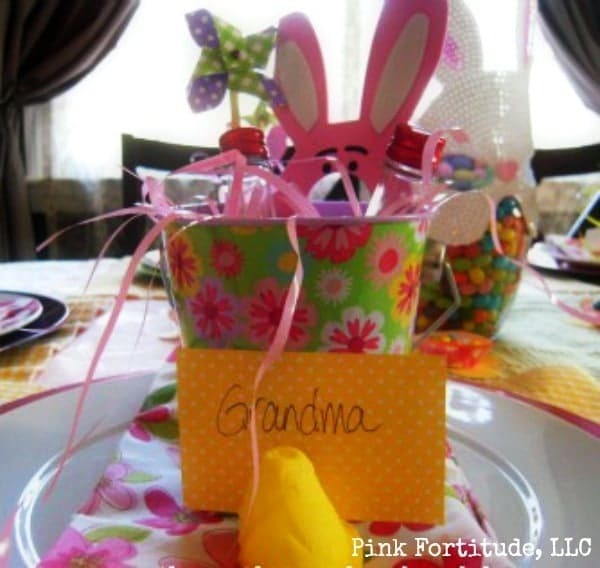 If you need some ideas, check out my Non-Candy Easter Basket Fillers. You’ll find over 100 ideas for everyone from toddlers to teenagers. 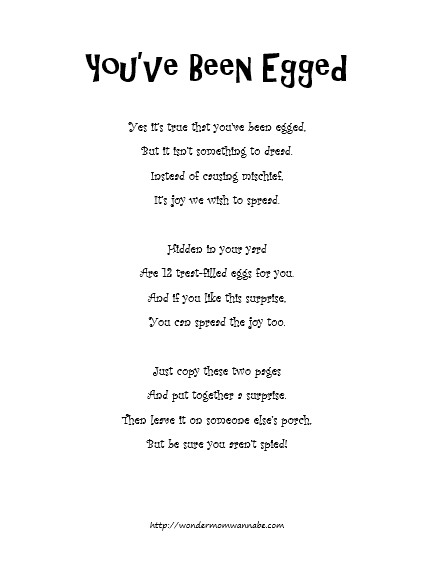 Include this printable sign and the poem in your basket so the person you egg understands the gift. If you’re delivering your basket to someone with younger children or friends who are young at heart, you might also want to include the following poem. And now that you’re in the Easter spirit, check out these amazing ideas from my friends around the web. 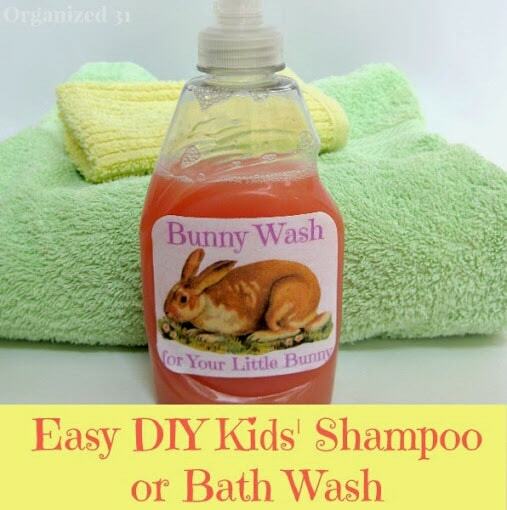 Organized 31’s Bunny Wash would make a great addition to a “You’ve Been Egged” basket for the kiddos. 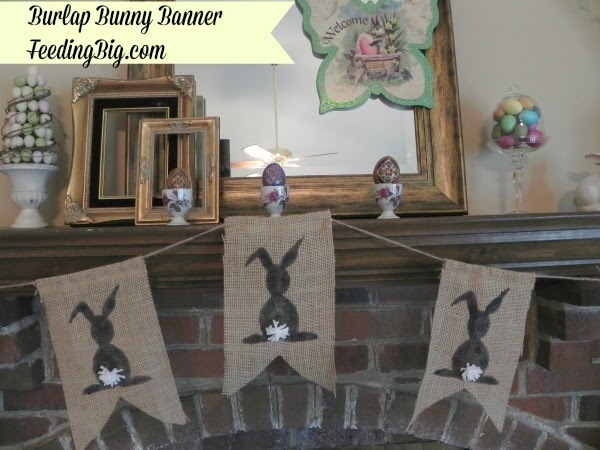 This Burlap Bunny Banner from Feeding Big is an easy and frugal way to decorate your house for Easter. And I love these tips from the Coconut Head’s Survival Guide for dressing up your table for Easter. I have never head of this before today. I love the idea and can think of a few neighbors that I would like to do this for. I can easily see how you can make this work for any one and any age! Wish we had couple of Easter traditions you have in the States here in Spain too. 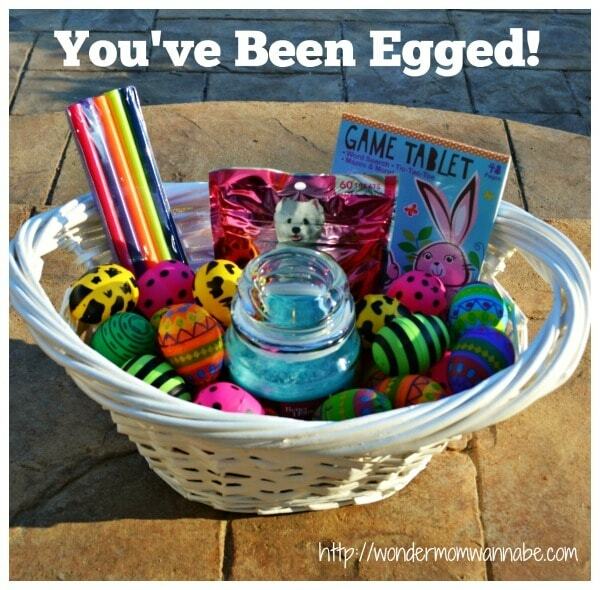 I’m sure Spanish kids would love Easter hunt and neighbours would be happy to be egged. The printable is really cute. Corinne, I want you to be my neighbor! This is such a cute idea. I’m familiar with and enjoy the “boo’d” tradition, but this egging is new. I’m going to have to start it in our neighborhood.